It’s been reported that less than 1% of the world’s population has run a marathon, roughly seven million people (give or take). There’s an even smaller number of people who run marathons that need to be celebrated; those who run their race on behalf of a charity. Enter Austin Gives Miles, the Official Charity Program of the Ascension Seton Austin Marathon presented by Under Armour. Austin Gives Miles gives runners from around the world the opportunity to give back to local and national nonprofits. This is accomplished by fundraising in conjunction with their race. Participants can raise funds while training for the marathon, half marathon, 5K, or Manzano Mile. The concept isn’t unique to the running world. Charity endurance programs are a popular mechanism for charitable organizations to raise money for their causes. What is unique to Austin Gives Miles is that the program celebrates the local charities that make Austin great. Some of these Austin nonprofits rescue dogs, combat homelessness through running, and tackle cancer. Austin Gives Miles has a mission that will tug at your heartstrings and add even more meaning to your miles. The great part about Austin Gives Miles is that no fundraising effort is too small or large. Austin Gives Miles charities are proud, enthusiastic, and supportive of every runner that runs for their cause. Sure, large donations and lots of fundraising dollars are great, but Austin Gives Miles charities celebrate every runner, every connection, and every contribution to their mission. 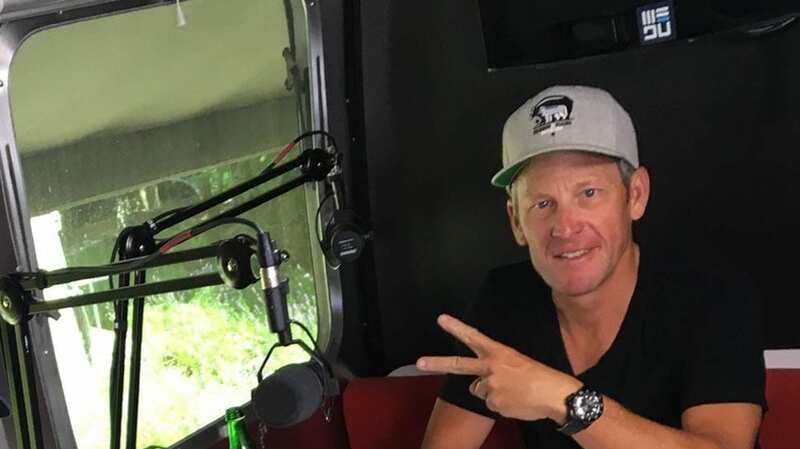 The program is even more exciting this year with the announcement that Lance Armstrong will run the 2019 Austin Marathon on behalf of Austin Gives Miles. Lance is an Austinite, philanthropist, cyclist, and an avid runner. He is founder and owner of WEDŪ, a content destination designed to provoke and equip people to embody an endurance lifestyle. Lance is the 2019 Charity Chaser, a program started five years ago to raise awareness for Austin Gives Miles. This year, Lance will start the marathon in last place. He will raise money for every marathoner he passes on his 26.2-mile journey. The money raised will be evenly split between the local charities who work hard to make Austin Gives Miles a huge success. If you are looking for a way to add even more meaning to your miles this February 17th, check out Austin Gives Miles. You can make a donation, support Lance, or raise funds for one of the 30 Austin charities.